When the communism at the helm of affairs world thought that the era of religious rule has ended and it will never come into existence. But the overt throwing of Russian administration in Afghanistan, Shah of Iran by the Religious people, world came to know that the role of religion the state of affairs cannot be denied and it especially true with Islam. 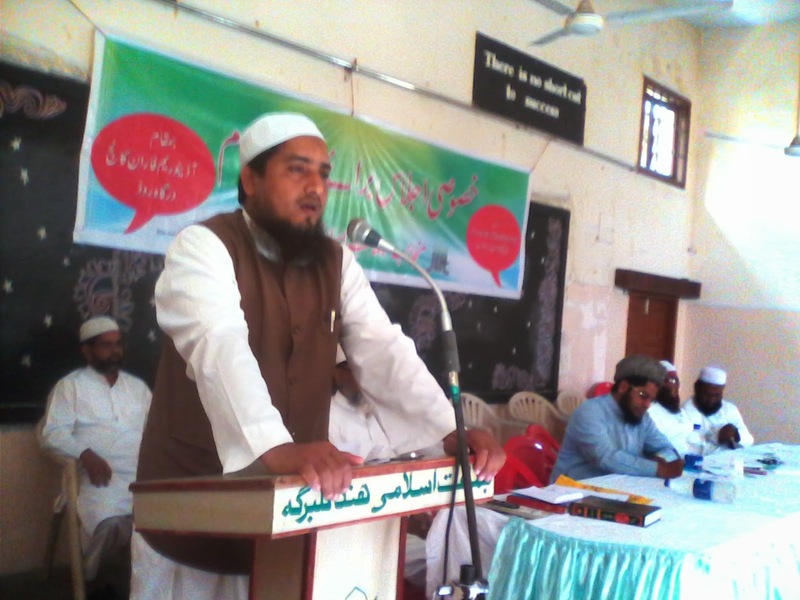 These were the words expressed by Moulana Ahmed Siraj, President Jamiyat e Ulama e Hind, Hubli while addressing the gathering of men and women Ulama on Sunday the 19th Jan 2014 at Faraan College Auditorium in Gulbarga. 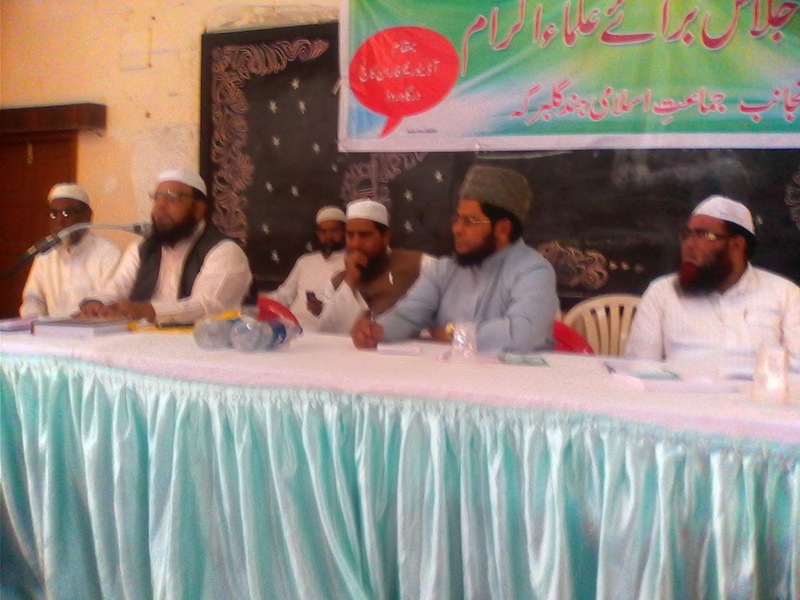 The program was organized by local unit of Jamaat e Islami Hind Gulbarga. He said it is because of this every effort has been made in the world that no land is made free to Islam to rule so that the world never come to know the truth about Islam. He said due to the impact of these external forces the Umma is upset and the religious people and its leadership has been made the target. He called upon the Ulama the religious heads to bring the umma out of this shock & impact and bring in the confidence in them that with the Islamic politics only we can change the world as Islam believes in the fact that if it is no religion in politics there will be chaws. Speaking on the internal factors affecting the muslim community, he said it was its duty to spread & establish the righteousness in the state, instead it has lost the very spirit and confidence to act that way. Under the circumstances it is the duty of Ulama he said to uplift the morality of Umma and bring in the confidence in them and enlighten them the greart role they are suppose to play in the world as Khair Umma (Best of Communities). Commenting on the existing education policies, he said this policy is moving the people away from religion. Unless ther is no change in policy he feared the evil from the society cannot be eradicated. 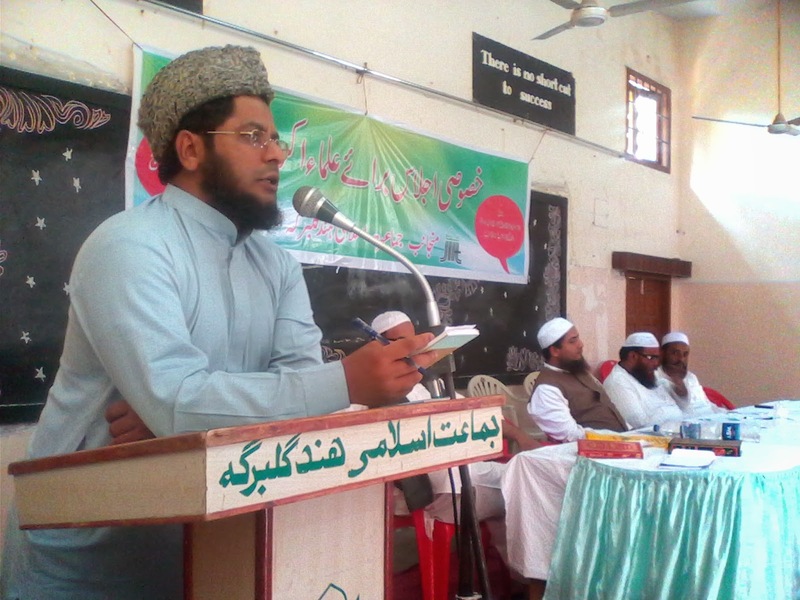 Speaking on the topic “ Changing Scenario & the Role of Descendents of Prophets” Moulana Javid Alam Qasmi, Khateeb & Imam of Jamia Masjid Mahbus said, in the todays modern advanced era no issue remain as local as within no time it gets spread throughout the world. 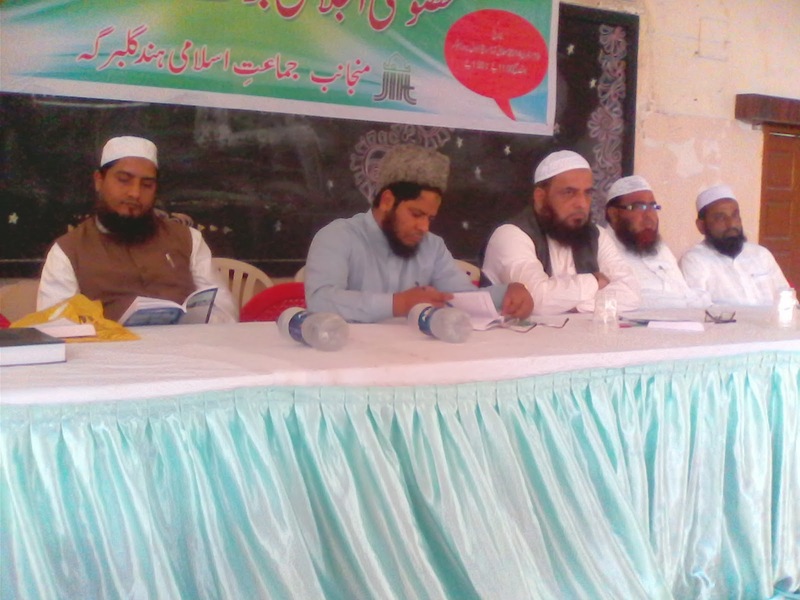 Islam is the religion which has solution to all the problems faced by the humanity. Unfortunately he said Umma is unaware of the great role of reforming the world and giving solutions to the problems faced by the humanity in the light of Islamic teaching. It has restricted itself to offering Namaz & fasting etc. 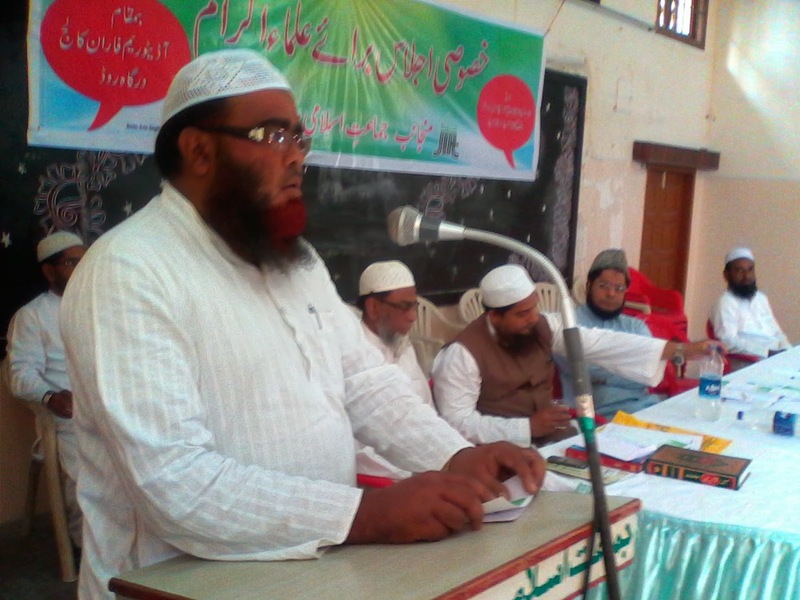 Speaking on the same topic Moulana Vasiullah Rahmani, Khateeb & Imam Masjid Aiwan e Shahi said the religious intolerance is being spread all over the world and every effort is made to subjugate Islam. Under these circumstances it is the duty of Umma and its religious leadership to play its role. He said the Umma is like military to eradicate evil and the Ulama(religious leaders) are like commanders. 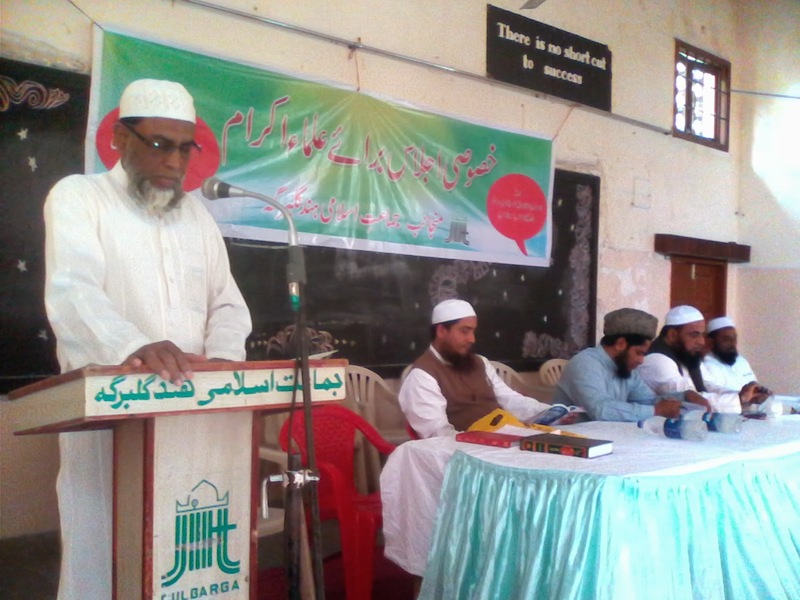 Delivering the presidential address Moulana Waheeduddin Khan, Chief Organizer, Majlis ul Ulama Tahreek e Islami Hind Karnataka said that the whole of Umma is an unbreakable unit and is like a body. Every member of it he said is bound in brotherhood. Unfortunately things are not as expected. 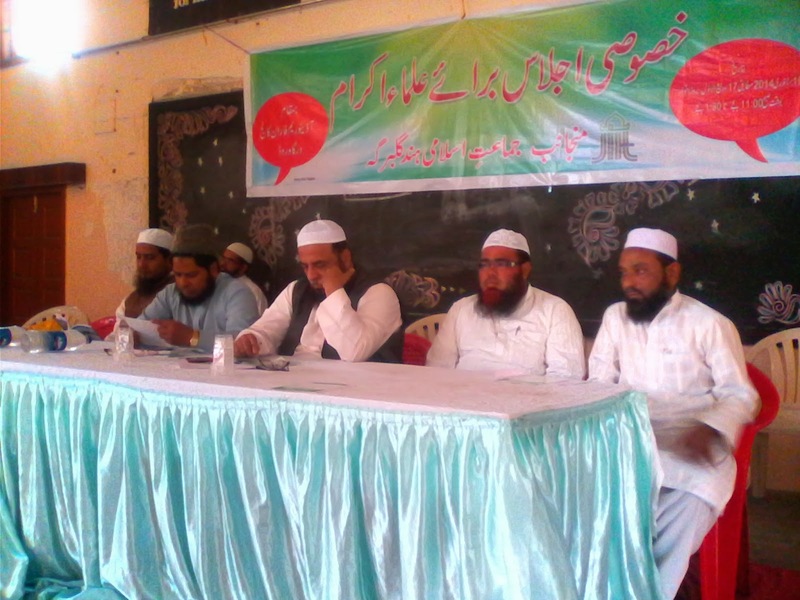 It is divided on petty issues which do not have any significance in Islam. He said there will be difference between different schools of thought, but for the establishment of rule of Almighty, as is its prime duty, they are to be united. 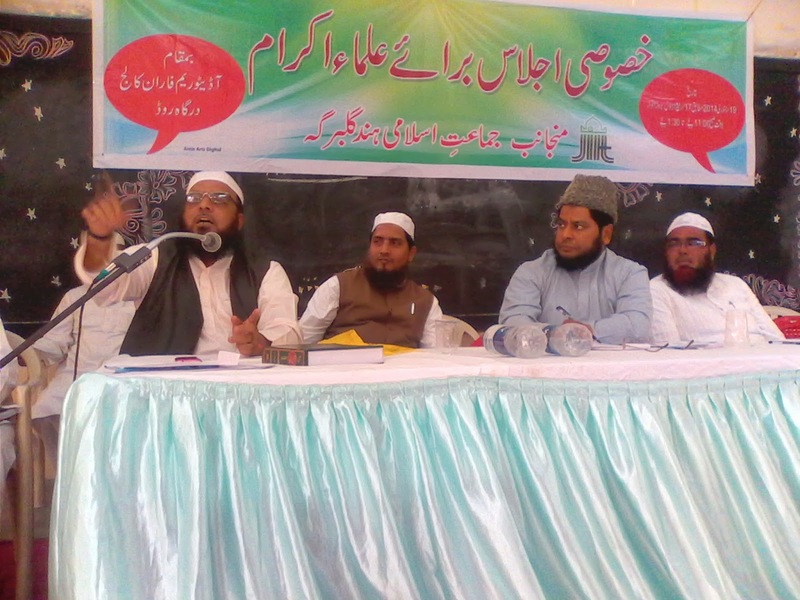 For this he called upon the Ulama to attach the umma with Quran & its teaching and preach them about their duty.